This is a foreign exchange guide to Norway, the Norwegian Krone currency plus NOK transfers and travel tips. The essence of Norway's appeal is remarkably simple: this is one of the most beautiful countries on earth. Enjoying nature in Norway is very much an active pursuit, and this is one of Europe's most exciting and varied adventure-tourism destinations. While some of the activities on offer are geared towards the young, energetic and fearless, most – such as world-class hiking, cycling and white-water rafting in summer, and dog-sledding, skiing and snowmobiling in winter – can be enjoyed by anyone of reasonable fitness. The counterpoint to Norway's ever-present natural beauty is found in its vibrant cultural life. 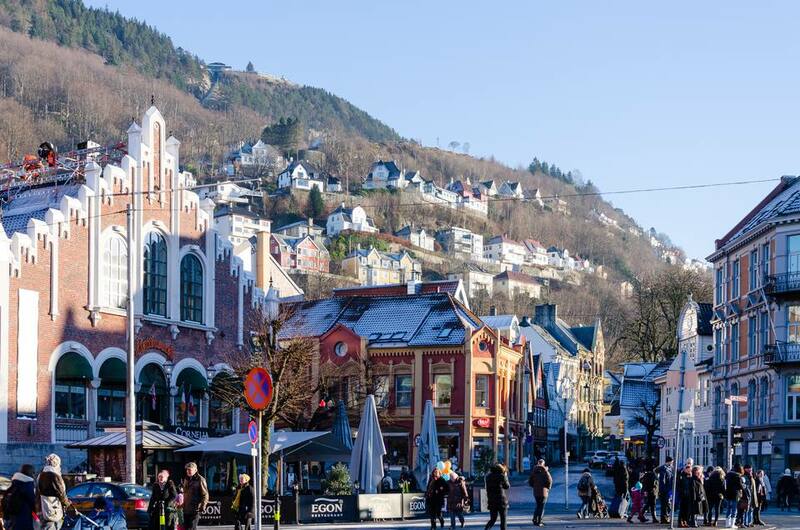 Norwegian cities are cosmopolitan and showcase the famous Scandinavian flair for design through the ages. 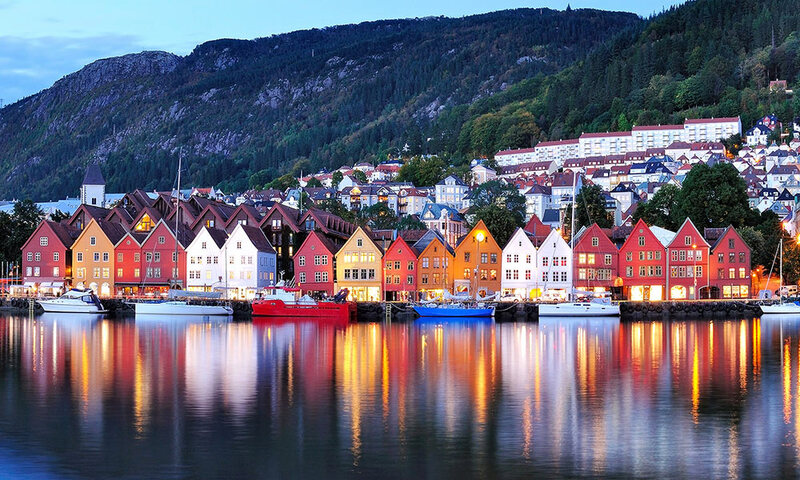 Bergen, Trondheim and Ålesund must surely rank among Europe's most photogenic cities, while contemporary Arctic-inspired architectural icons grace towns and remote rural settings alike. And wherever you find yourself in this most extraordinary country, these landscapes serve as a backdrop for some of Europe's prettiest villages. What currency to use in Norway? The Norwegian currency is “Kroner”, which is sometimes mistranslated into “crowns” in English. Although debit or credit cards are accepted most places, it is still a good idea to have a bit of cash on you. Foreign currency is rarely accepted, so you need Norwegian currency to get by. You will find cash machines everywhere in towns and cities, and in most rural areas there will be at least one place where you can withdraw money, such as a kiosk or a petrol station. Visa and MasterCard are the most commonly accepted credit cards, with far fewer accepting Amex or Diners. 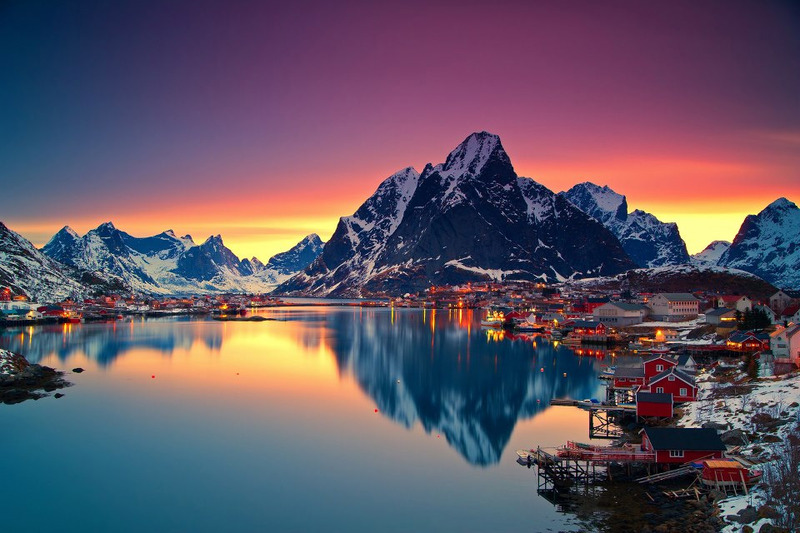 Norway has less than 5 million inhabitants, but it is a large country and sparsely populated. Foreign visitors usually underestimate distances and traveling time. Travel along the coast, fjords and mountains is complex, and public transport is often limited to one bus a day. Due to this seeing all of Norway will take more than a few days. Health standards are very high and visitors generally don't have to worry about personal security. Tap water is not only drinkable but usually of very high quality. Norway is full of great places to visit, while going to the North you can go to Ålesund, Trondheim, Lofoten Islands, even North Cape at the Northernmost tip. You can even visit Svalbard near North Pole which is a quite demanding trip though. Be sure to get out into the countryside, it is gorgeous and rugged. The midnight sun is a nice experience, and can be seen anywhere North of Bodø around mid summer. About half of Norway lies above the arctic circle. There is absolutely no need to go to North Cape to experience the midnight sun. Norway is one of the richest countries in the world and many things are accordingly expensive. Note that service and taxes (VAT) is always included in the price offered, nothing is added to the bill. Air transport is relatively cheap if the traveller are flexible with regard to time and date. Is the Euro accepted in Norway? Norway does not currently use the euro as its currency and has no plans to replace the krona in the near future. This is the same situation in all the Scandinavian countries - Denmark, Sweden and Iceland. You may find some shops that will accept the Euro but watch out for the EUR/NOK exchange rates they offer. How to get around in Norway? Norway has an extremely efficient public transport system and its trains, buses and ferries are often timed to link with each other. Boat and bus departures vary with the season and the day (services on Saturday are particularly sparse, although less so in the summer high season), so check the latest ruteplan (timetable) from regional tourist offices. Due to the time and distances involved in overland travel, even budget travellers may want to consider a segment or two by air. The major Norwegian domestic routes are quite competitive, meaning that it is possible (if you're flexible about departure dates and book early) to travel for little more than the equivalent train fare. Norway's excellent system of ferries connects otherwise inaccessible, isolated communities, with an extensive network of car ferries criss-crossing the fjords; express boats link offshore islands to the mainland. Most ferries accommodate motor vehicles, but some express coastal services take only foot passengers and cyclists, as do the lake steamers. Long queues and delays are possible at popular crossings in summer. They do, however, run deep into the night, especially in summer, and some run around the clock, although departures in the middle of the night are less frequent. Buses on Norway's extensive local and long-distance bus network are comfortable and make a habit of running on time. You can book tickets and consult timetables for most routes online. When searching around for information on how to get a good exchange rate when sending money to Norway you need to start with finding out the latest Norwegian Krone foreign-transfer exchange rate. Once your funds are received by the provider the converted NOK amount will be transfered to the recipient account you specify in Norway.